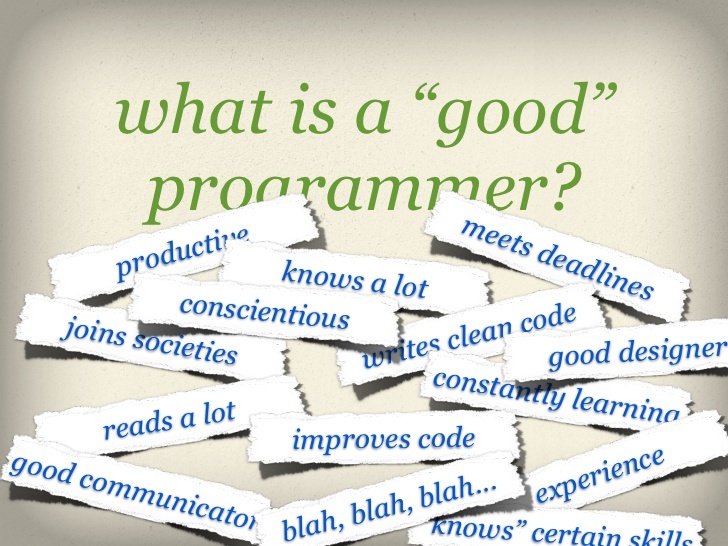 Traits to look for when you’re hiring a programmer. Sick of recruiting programmers who failed you over and over? Want to hire professional programmers and build a strong programming team for your company but no idea what consideration should have except technical skill? Here are the things you have to consider in next programmer interview. Curiosity lead us to the new path. Programmers with curiosity will strive to find the best solutions and new ways in solving problem. Do they ask questions during interview or ask them ‘Are you a curious person?’ to know do they fulfill this mentality. Paying attention to details directly translates into a programmer’s performance. A programmer who pays attention to detail will be significantly more productive than one who doesn’t, all else being equal. This quality is difficult to measure in short interview time. But sometimes it can be very obvious to see, like walk in with unbuttoned pants shows the candidate does not paying attention to details. A good programmer should have good logic skills. People who can add 2 and 2 to get 4 are common, but people who can take “2 + x = 4” and figure out that “x” is equal to 2 are much less common. Programmer with strong math and science background might shown they have good logic skills and perform better as a programmer. Leave blanks in what you want to say and see whether the candidate can fill them in to test their logic skills. A significant portion of a programmer’s day is spent reading. If a programmer read slowly or take long time to understand what they reading, will be inefficient on task given. You probably don’t want someone on staff who misreads the spec and spends three weeks doing the wrong thing; that’s just embarrassing when you need to explain the delay to the project sponsors. Test their reading speed during interview is the most direct way to measure this quality. “Communication skills” doesn’t mean the same thing as “Speaks perfect English.” It means, “able to convey an idea accurately and effectively.” Programmers who hard to get or understand other’s point or hard to express their words will cause their performance not effective. A face-to-face interview is easier to measure candidate’s communication skills than phone call interview. Teamwork mentality is essential foe a good programmer. If the candidate complains or speak badly of their former manager or company, they may ignore orders or complain about the stupidity of orders. Even if they disagree with somebody, good programmers are able to understand the reasons for a particular decision. Ask question like ‘Would you enjoy work in a team or work individually?’ to know whether the candidate fulfill this mentality or not.